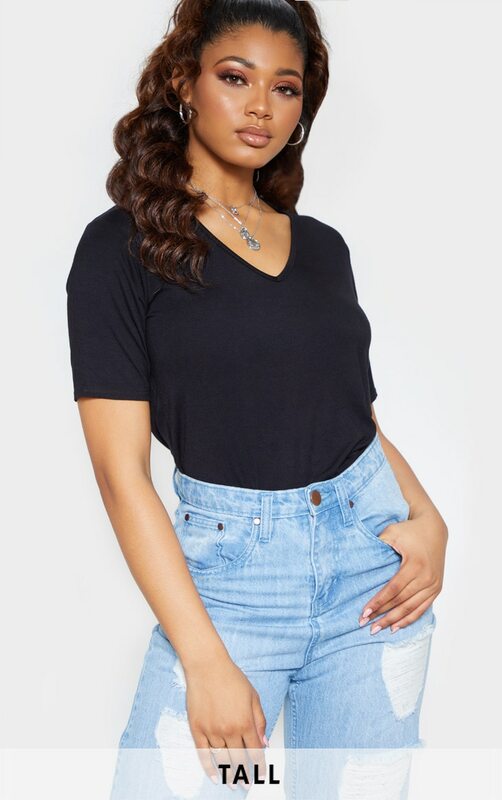 This basic but essential tee is an ultimate wardrobe staple. 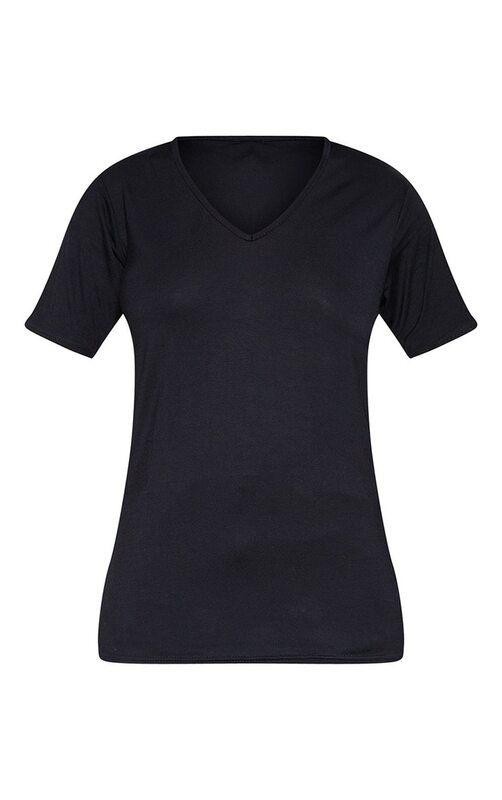 Featuring a black material with a V neckline and short sleeves. 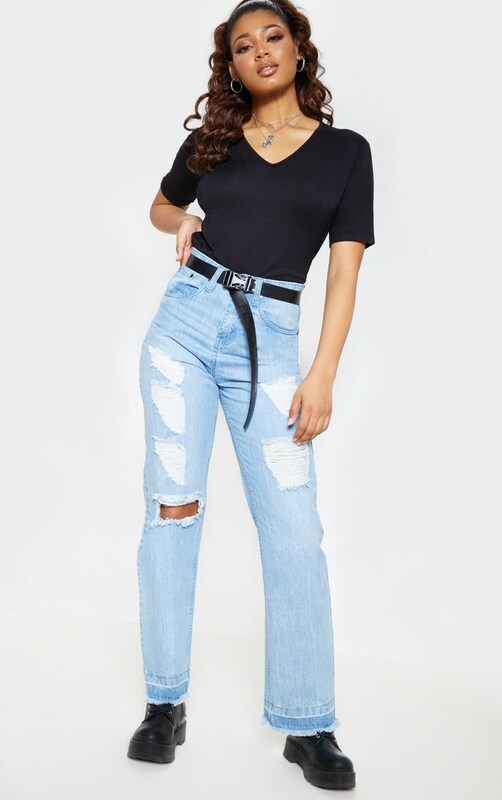 Team this with denim jeans and ankle boots for a look we are loving.